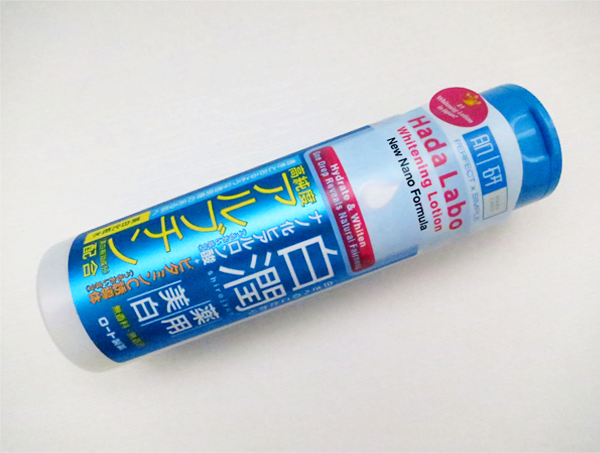 The Arbutin Whitening Lotion falls under Whitening Care, one of the 3 ranges that Hada Labo currently has. This particular range 'allows users to gain fairer, moist and bright skin' with its concoction of Arbutin, Vitamin C and Hada Labo's signature Hyaluronic Acid. Arbutin is an extract derived from the natural bearberry plant. It helps to enhance skin fairness and fight dark spots. At the same time, it brightens dull skin so that a clear complexion is achieved. Vitamin C, as we all know, is used to brighten skin tone. It also helps to repair skin that has been exposed to UV rays. Since getting the lotion on board my skincare regime, my skin is looking a lot clearer. Hada Labo's lotions have always worked wonders on my skin and I am going to use them for the rest of my life (I have backups of them in my drawer. Am definitely getting a bottle for M soon. :D). However, the whitening effect is rather minimal for me. Then again, I'm already quite fair so I'm not really sure how much fairer I can get. The effect would probably be more obvious if I were to use the entire range (Besides the lotion, there are also the Arbutin Whitening Essence, Arbutin Whitening Milk and Arbutin Whitening Mask. ).